Comment on the inaugural Ministerial Statement on Veterans and their Families, pointing to the Minister’s creative accounting, which distracts from the good work being done in the portfolio for veterans. Courageous decisions to wind back extravagant commemoration spending could have left more money for veterans’ welfare. The book of a UNSW Canberra conference in 2016. Minister Tehan’s media release reminds us that there is history to this issue, history involving chewing gum and ministerial overwork – and over-reach. Plus, from the Honest History archives, a collection of resources on Hiroshima-Nagasaki. Update 4 August 2017: The centenary of the Third Battle of Ypres. What were we fighting for at Gallipoli, in Palestine and on the Western Front? Douglas Newton in Pearls and Irritations on the cynicism and tragedy of Ypres and Passchendaele and their lessons for today. Greg Lockhart in a Pearls and Irritations series on the Asia-centric motivations for Australian wars since 1911 and how our reluctance to admit these motivations has made us focus instead on how well we have fought. Peter Stanley reviews Christopher Nolan’s time-tangling, dialogue spare, CGI-free version of Dunkirk. Just as Theresa May’s government writhes over the implications of Brexit, there is a dark irony in the appearance of a major British film celebrating the evacuation of British troops from the beaches of northern France … The Dunkirk myth – that even the most powerful set-back can be surmounted – has for over 70 years exerted a powerful hold over Britons’ conception of themselves and their nation. Update 25 July 2017 updated: War Memorial big wig has National Press Club big gig (again). Dr Chau Chak Wing. Worthwhile work continues. Sail away. Elsewhere. Earlier this month we came by an invitation to a lunch at the National Press Club on 19 September 2017. 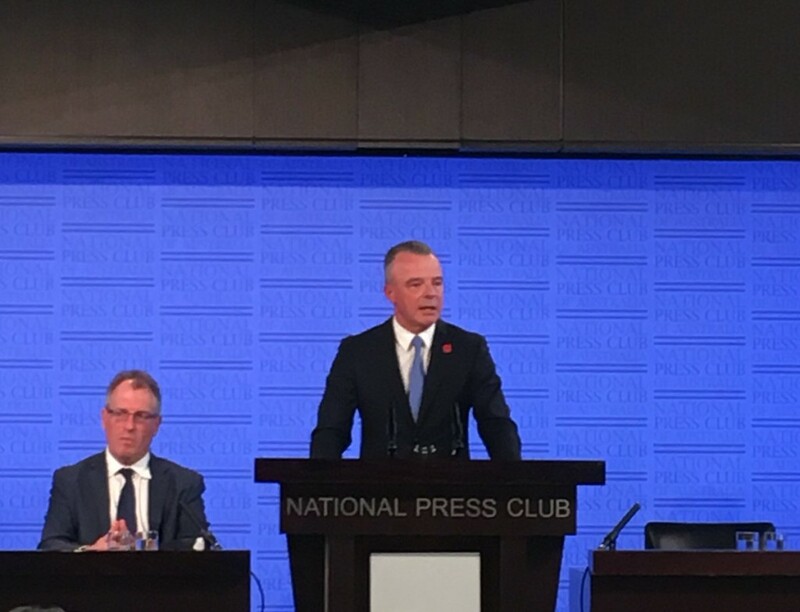 The featured speaker is the Honourable Dr Brendan Nelson AO, Director of the Australian War Memorial, and he is speaking on the topic ‘1917 – a time of tragedy and triumph’. We will not be able to attend but we considered the invitation closely, as it related to work we have done previously on Dr Nelson’s speeches. The Press Club advised that the words in the invitation were supplied by the Memorial. There were seven paragraphs of biodata, highlighting the achievements in Dr Nelson’s distinguished career. There were eight paragraphs introducing Dr Nelson’s subject matter, essentially Passchendaele and Beersheba, Australian military highlights in the second half of 1917. During this moving presentation, [Dr Nelson] will discuss the two battles, their impact on the war and how they helped shape the Memorial and our nation. Using the stories of those men and women who took part in these battles, Dr Nelson will help us interpret their experience during this most shocking of years and give us insights into what it means to be an Australian. Knowing in advance that one will both be moved and helped to understand Australian-ness might encourage people to attend. Others will go along because they’ve heard Dr Nelson speak before (he’s been at the Press Club many times) and been impressed by his eloquence – or perhaps by his party trick of being able to speak for long periods without notes. Just as anyone speaking at a wedding or funeral only has to be half-competent to get a reaction from his or her audience, an Australian or New Zealand spruiker in an Anzac context has a fairly cushy gig: the sentimental “hot buttons” of a good proportion of the audience are primed and ready … Dr Nelson is in some respects a very good spruiker – he is certainly more than half-competent – but any collection of his remarks raises a number of issues and deserves close analysis. A list of qualities said to be forged in war and claimed to offer a guide for young Australians today – Resource; Candour; Devotion; Curiosity; Independence; Comradeship; Ancestry; Patriotism; Chivalry; Loyalty; Coolness; Control; Endurance; Audacity; Decision. The claim that war is not about war at all, but about ‘love and friendship’. Well-honed sets of words ringingly delivered: ‘awkward humility’, ‘abiding reverence’, ‘overwhelming pride’ (perhaps all three of those in one breath); ‘renewed commitment to one another, our nation and the ideals of mankind’; ‘the broad brushstrokes of [our] history’ (which we should not settle for because they obscure individual stories); ‘they died for us’ (Australians then and Australians today); ‘the truths by which we live’; ‘for we are young and free’ (recently adopted as the Memorial’s marketing slogan). 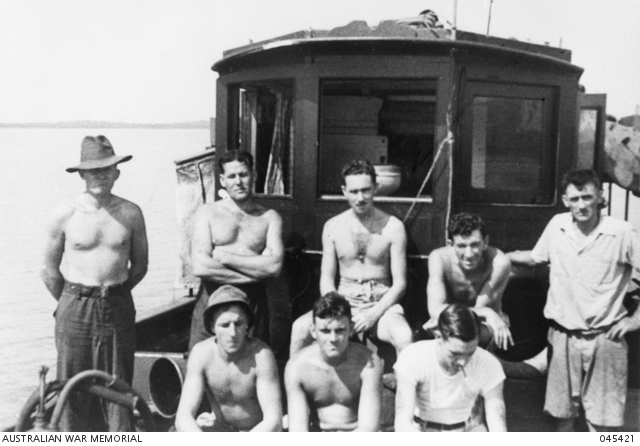 A sentimental, often cloying tone, emphasising how Australians fought and died, but avoiding the really important questions – what was happening at home, what happened afterwards, was it worth it, did all this fighting and death make any difference? And how did the Great War affect people other than Australians? After all, the war caused around 41 million casualties, including 18 million dead, in uniform and not; that figure of 61 000 dead that we Australians, including Dr Nelson, learn off by heart sounds rather insignificant by comparison – though, of course, every one of those deaths was a tragedy. Dr Nelson claimed in a speech in 2015 that ‘[f]or righteousness and liberty, 2 million Australian men and women serve – and have served this nation over more than a century’. That sounds rather like those comforting words that appeared on the King’s Penny or Dead Man’s Penny that King George V sent out to bereaved families after the Great War: ‘He Died for Freedom and Honour’. From King George to Brendan Nelson, the boilerplate commemoration-speak has hardly altered over a hundred years. On the other hand, this may well be Dr Nelson’s final gig at the Press Club – his term at the Memorial ends later this year – so he has a chance to break the mould. It would be great to hear him saying something new and different about commemoration this time, rather than wheeling out yet another ‘moving presentation’ for his audience to get their sentimental rocks off. Not long ago we noted (scroll down to picture of Dr Chau in front of Roll of Honour) that mysterious celebrity businessman and Australian citizen, Dr Chau Chak Wing, is a Fellow of the Australian War Memorial and his company Kingold is a significant donor to the Memorial. 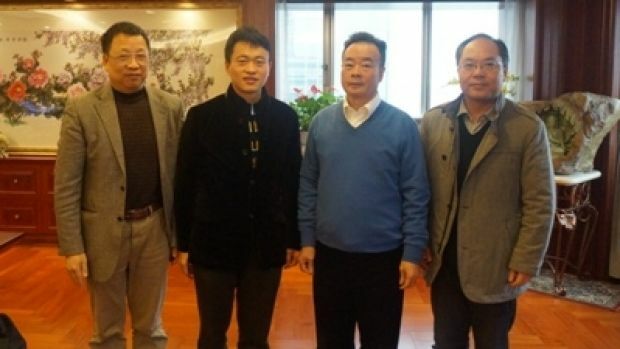 Dr Chau also channels money – he has lots of it – to educational institutions and political parties. The institutions reciprocate by putting Dr Chau’s name on buildings; we are not sure what the political parties do in return. Chau Chak Wing’s doctorate is honorary, from Keuka College, New York. He is also known as Zhou Zerong. While the FBI alleged that Sheri Yan used Dr Chau’s money to bribe former United Nations General Assembly President, John Ashe, Dr Chau himself has never been charged or accused of wrongdoing. Ms Yan pleaded guilty and is in gaol. Dr Chau was recently in the news again with claims in Fairfax that he had links to an arm of the Chinese Communist Party, the United Front Work Department (UFWD). Chinese President Xi said in 2014 that the UFWD was a ‘magic weapon [for the] Chinese people’s great rejuvenation’, and academic observers say the UFWD is ‘dedicated to asserting and spreading Party influence inside China and abroad’. Minister for a number of things*, Dan Tehan, continues to push hard on mental health initiatives for veterans, most recently in a speech to the RSL WA Branch. He shows strong personal commitment to this work. By contrast, the tone of his media releases (like this one) marking occasions for commemoration is pretty much routine. While it was a little surprising that the Minister was not available for interview on the ABC’s 7.30 item about the suicide of veteran Jesse Bird, he announced a full review into the case. To top this off, the Minister published the communique from the International Ministerial Conference on Veterans’ Issues in London. Ministers and representatives from the United Kingdom, the United States, Canada, Australia and New Zealand ‘identified many overlapping themes and mutual challenges, including for some nations addressing and treating post-traumatic disorder, rates of suicide and homelessness among veterans, barriers to mental health care, alternative therapies, veteran-centric approaches to the provision of services, and early intervention’. Networking and research initiatives got under way. Sharing international experiences in this way should be useful. There are many inexpressibly sad stories of the effects of combat on soldiers. In Australia, the sadness is accentuated when one considers, first, the cynical political calculations behind our recent decisions to send forces overseas and, secondly, the opportunity cost within the Veterans’ Affairs portfolio: both sides of politics bear responsibility for expensive commemorative bread and circuses, taking the portfolio’s discretionary spend money away from more worthwhile objectives. In other portfolio news, Margaret Jackson AC has been appointed to the Council of the Australian War Memorial, replacing Jillian Segal AM. Long-serving members, Kerry Stokes AC (chair) and Les Carlyon AC, have been re-appointed. * Veterans’ Affairs, Defence Personnel, Centenary of Anzac, Cyber Security. For those readers who came to Centenary Watch first, please now go on to read about how Turks are rewriting the history of the Gallipoli campaign, how Canadian ‘Vimyism’ has many similarities to Australian ‘Anzackery’, and how the second edition of Honest History’s Alternative Guide to the Australian War Memorial asks even more questions that the Memorial itself fails to ask.